All of the Lantek Expert Cut options are integrated into one program. 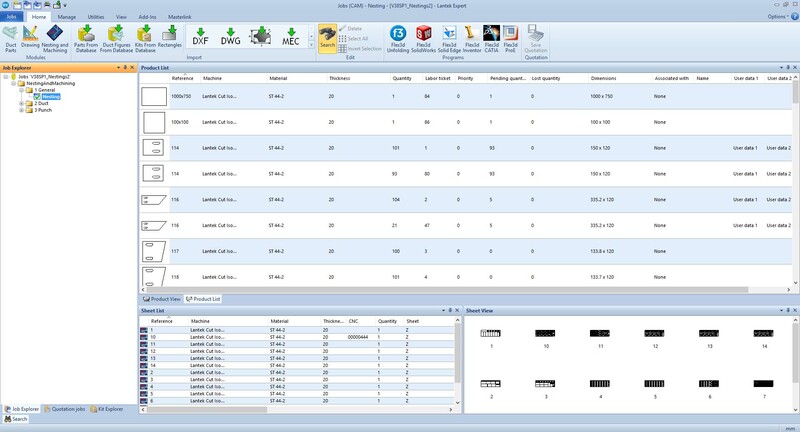 Lantek Expert is fully integrated with Lantek Integra, an ERP which offers different CAD/CAM/MES/ERP solutions for the sheet metal and fabrication sector. Additionally, Lantek Expert is designed to connect to an external ERP. 2D Design - Lantek Expert Cut has a highly efficient 2D CAD module especially created to design 2D plate parts. This system provides a perfect combination of automatic, semi-automatic, and manual nesting, which provides great flexibility and optimum performance. The combination of automatic nesting, along with manual nesting functions like copy, moving, and rotating, proves to be a very powerful tool. Lantek Expert Cut automatic nesting optimizes part arrangement on the metal sheet or plate for maximum utilization of parts and remnants. Lantek Expert Cut automatically detects remnants in the warehouse and prioritizes their use prior to using a new sheet. 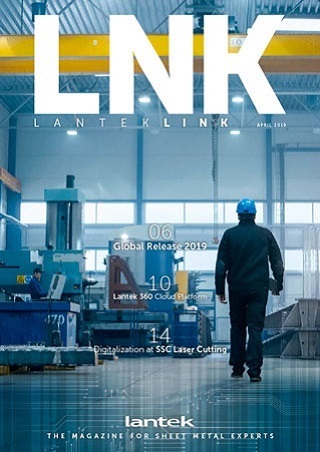 Lantek Expert Cut allows tables to be configured via material/thickness to define separation between parts and lead-ins/lead-outs for different types of contours and dependent on material/thickness and cutting quality. It is possible to common cut between different parts or limit to pairs of parts with micro-joints and pre-cuts. The system detects any errors in the design and machining and is completely automated. All Lantek Expert Cut options are included in a single program. 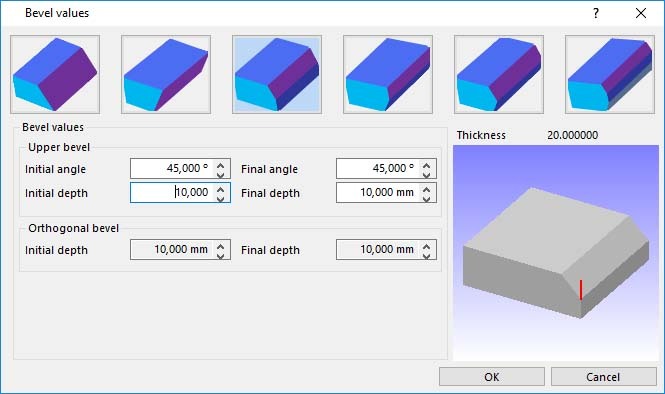 Within the same program and environment, the user can: design or import a part, consult the sheet warehouse, execute cutting sequences, generate CNC programs, and calculate time and cost.